This has always been one of my absolute favorite books from Barefoot. 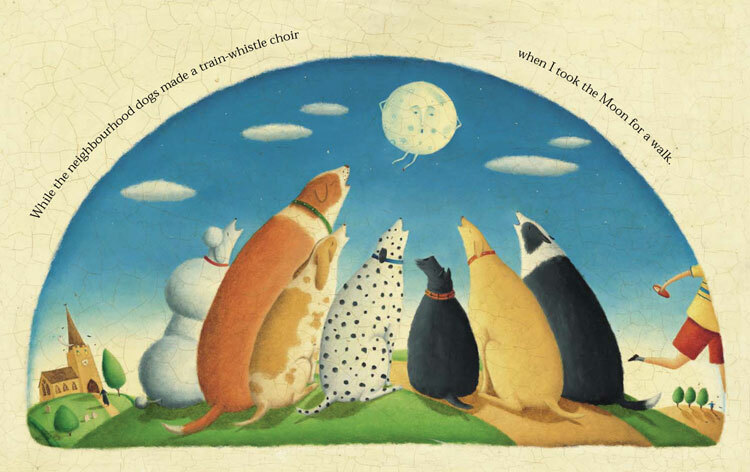 The rhyme is just so soothing, and the illustrations are wonderful. And, as with many of our books, this one has some lovely endnotes with facts about the moon and various nocturnal animals. 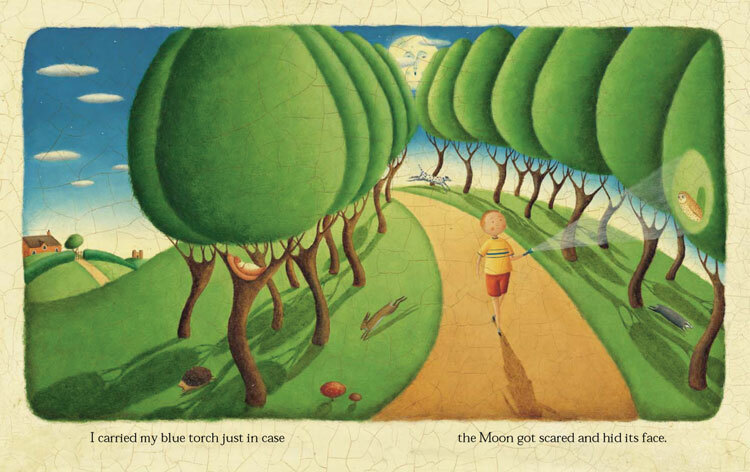 I think what I like most about this book, though, is that it helps illustrate that night time is really not that scary, especially when you have a friend like the moon by your side. Really fantastic for kids who are afraid of the dark or having a hard time going to sleep at night. I also love that this can easily substitute for “Goodnight Moon” and give us a much needed break from reading that story for the millionth time (don’t get me wrong, I like “Goodnight Moon”- but it’s nice to have a different moon story!!). 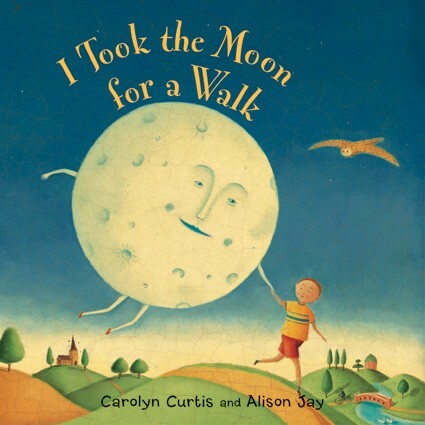 “I Took the Moon for a Walk” is recommended for kids ages 1-7 (the endnotes relaly help stretch the value of this book!) and is available in paperback for just $7.99 (an English version and French version is available). If you’re nervous about having a paperback around your little one, it’s also available in large format board book for $14.99. This is a nice, big size, that makes it easy for small hands to hold and flip the pages. 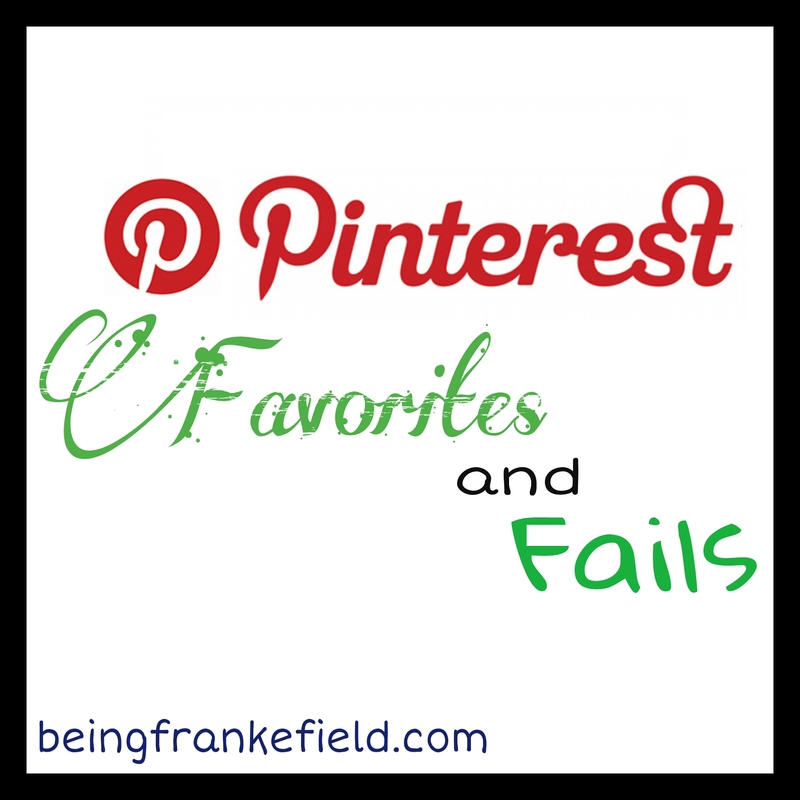 I know if you try this book out, it will quickly become one of your favorites, too! 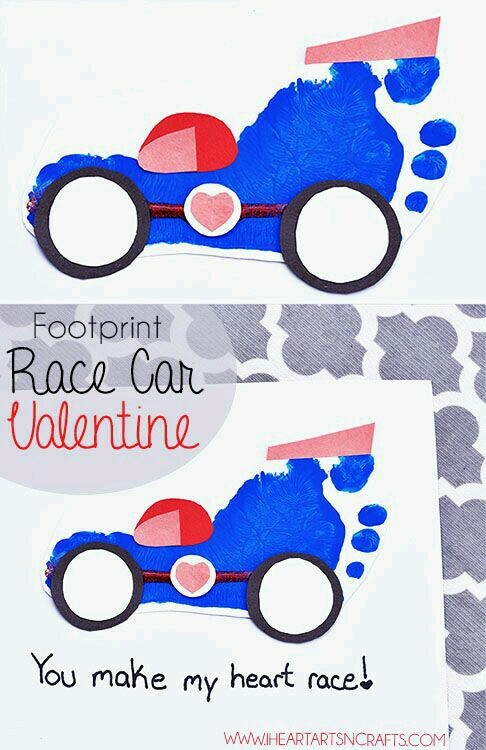 Last night Ian and I worked on his valentines for his daycare class together. 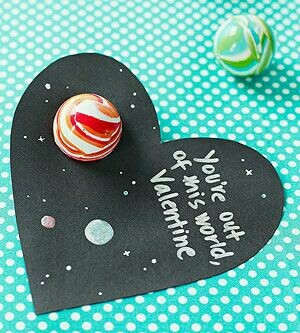 No, we did not do any of the numerous crafty imaginative valentines that I have been pinning all month. Instead, we bought a box of Valentine’s Day cards from Walmart when we went grocery shopping on Sunday and those are what we’ll be giving out. Did I want to do something grand and creative? Sure. 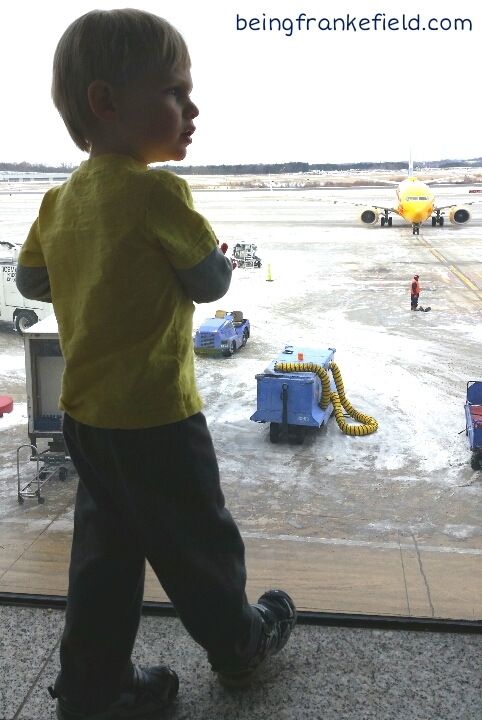 But in the big scheme of things… he’s 2. He’ll have lots more Valentine’s Days ahead of him and plenty of opportunity for clever and fun valentines in the future. So this time I opted to walk up and down the Walmart aisle and let him pick which of the myriad of boxed valentines he wanted to give his friends. He ended up chosing valentines that feature “How to Train Your Dragon 2” (he got this movie for Christmas and loves it). They are your typical kid valentines, where you write the TO and FROM, pop in one of the included temporary tattoos, and seal it closed with a heart sticker. So then, how in the world does a 2 year old help with valentines if he can’t write or read? And there’s no crafty handprint or footprint component? It’s pretty simple (and fun!) to have your toddler help, really. • I laid out all the valentines from the box and asked him to pick out one for each of the kids in his class. Before I could even start reading names (THANK YOU DAYCARE FOR THE LIST!! ), he was handing me valentines saying, “This is for Addison” or “This is for Colin”… as he gave them to me, I wrote in the TO and FROM names. We got through probably 5 valentines this way before Ian stopped. At this point, instead of waiting for him to grab a valentine and tell me a name, I read a name off the list and prompted him to pick out a valentine. • Once we got through everyone on the list, and all the TO and FROM names were written, I grabbed a box of crayons. I wanted Ian to put his mark on the valentines in some way, so I told him to pick a crayon (or more than one) and color around where his name was written. He picked lime green for some reason, which was really pretty fortunate because the black pen I used to write his name was still 100% visible beneath the coloring scribbles he added. • When he was done coloring all the valentines, I laid out all the temporary tattoos and told him to pick one to go with each valentine. We went through the list of names again, and he chose the tattoo he wanted each kid to recieve. Then I poped them in the holder in each card (which admittedly was a little tricky- they could make the slots a bit easier to access). • Finally, I asked him to grab a heart sticker off the sticker sheet so we could seal the cards. He needed a little help with this since the hearts were small, but he was able to peel off all the hearts and hand them to me, and I applied them to each valentine. The whole endeavor probably took about 30 minutes. Could I have done his valentines myself in a lot less time? Definitely. But we had fun doing them together. He loved getting to color the valentines and grab the stickers. He is so big on helping these days that I take any advantage to let him do just that. And it made a potentially dull task (writing out valentines for 14 kids and 2 teachers) more exciting. Plus, if someone asks if he did valentines for his friends, he can proudly say “YES!” There’s not much better than seeing that look of satisfaction on your kid’s face, and I wouldn’t trade that for anything (not even a beautiful, crafty, pin-worthy valentine). This has recently become a favorite book in our house. It just has so many wonderful things going for it. My son LOVES tractors, so of course this book already entices him from the start. 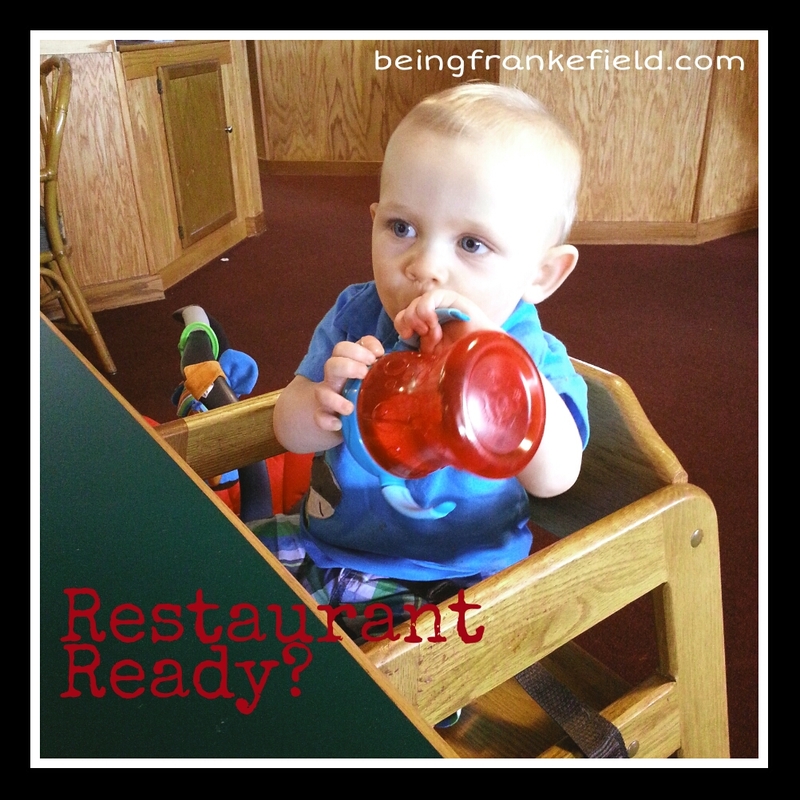 In addition to tractors, my son loves to sing and dance. So there’s another pro for this book. Plus, the song is really adorable and the words are EASY. The included CD is just an extra bonus. It plays on a computer with an animation, but we just like to pop it into the CD player and sing along as we flip pages. What kid doesn’t love animals? I mean, really. If I had a dollar for every time we sing Old McDonald (or Old McDongle, as Ian calls it), I’d be rich beyond my wildest dreams. I love that this is another farm song, with animal noises, but that it’s also decidedly different. And the animals are familiar enough that even the littlest ones will be able to recognize them and the sounds. 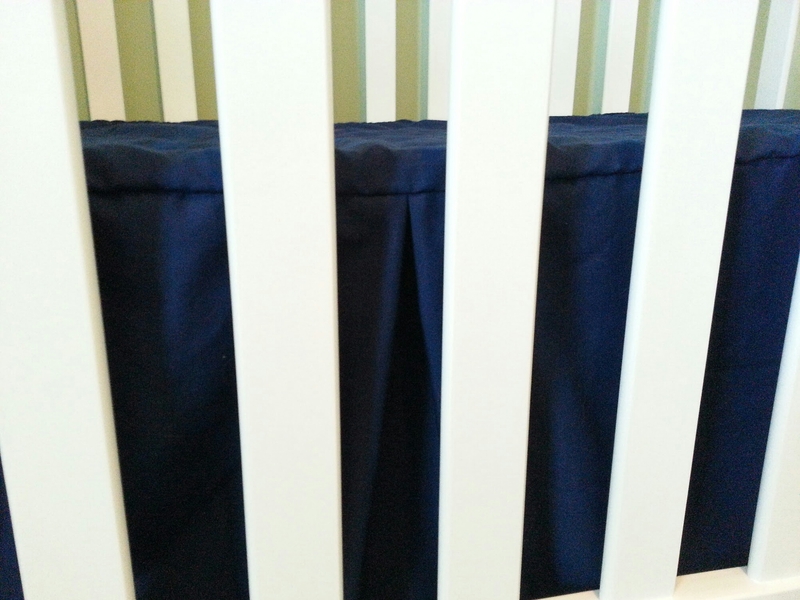 4) Counting and other hidden fun. Because I always love finding opportunities to sneak in fun ways to reinforce things Ian is learning. Yes, this is a fun, colorful book. And yes, there is a cute, catchy song. But the premise behind it is that the farmer is adding animals to his tractor- and with each new animal, we get a new number. One cow, two donkeys, three pigs, four sheep, five chickens. I also like that the animals are somewhat hidden on the page, so Ian and I can have a mini scavenger hunt when a new animal is introduced. The abundance of imagery on each page is one of the many things I love about Barefoot. You can flip through the book 50 times and never even have to read the text. Our books are great for making up your own story and interacting with your child (find something green, count the pigs, what color is the cow?, etc). Yes, this can be done with other books, too, but Barefoot just makes it SO easy. The pages are just BEGGING to be explored. This is something Barefoot does in many of our stories that I just absolutely adore. There are two beautiful, colorful two-page spreads of informational endnotes about farming equipment, crops, and more. 6) There is also a matching puzzle. How genius! 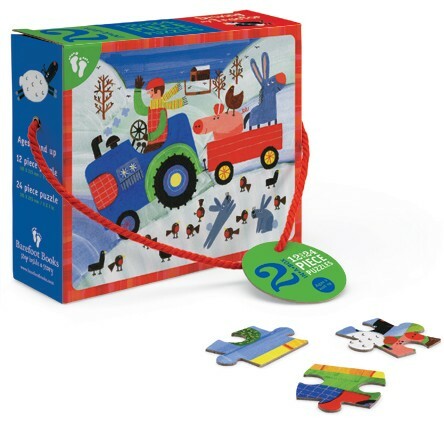 We love the 2-in-a-box puzzle that accompanies this book, and Ian frequently asks to work on the puzzles together. One puzzle has 12 large pieces. The other has 24 smaller pieces. Ian likes them both but definitely has an easier time with the 12 piece puzzle. But both come in the box, and both depict different scenes from the book. Definitely fun! The puzzle, just $14.99. Targeted for ages 3+ but my son has been enjoying this since he was 2 or so. 7) And a free finger puppet activity. I love that Barefoot creates and provides free crafts for so many of our books. This is a nice activity that even kids too young for the puzzle can do an enjoy. You can download the activity here. So, if you have a kid who likes animals or farms or tractors or songs (or all of the above), I can’t recommend this book enough. 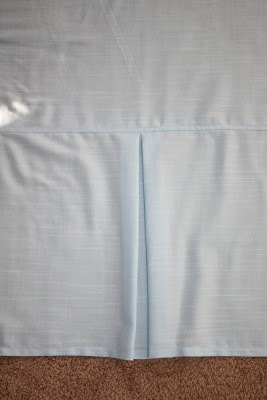 This just may become a favorite in your house, too! 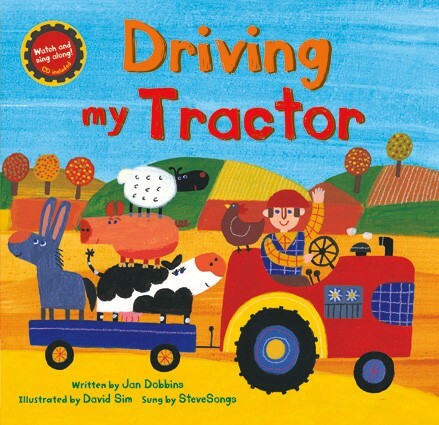 You can purchase “Driving My Tractor” here for just $9.99 (paperback w/enhanced CD). And if you want the puzzle, that can be found here for just $14.99. 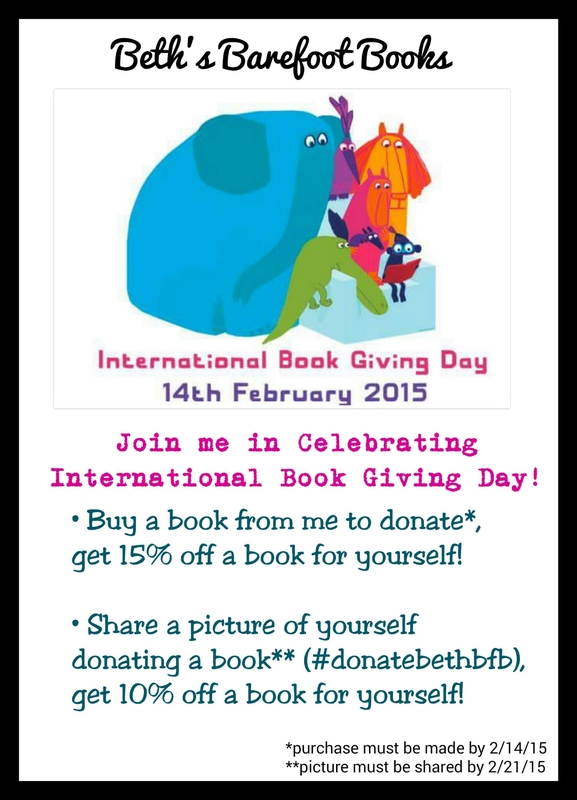 International Book Giving Day is February 14th. This is a really cool cause that encourages people from around the globe to give a new book (or more!) to a child. The rules are just that simple… donate a book to a kid, any kid, and you’ve successfully participated! If you want to be more ambitious, start a book drive and give the collection to a library, school, battered women shelter, YMCA, etc. The bottom line is giving books to others to help spark the love of reading in children across the globe. Naturally, I’m going to participate in this awesome event and would love for folks to join me! My books will be going to a neat little organization here in Cincinnati called Adopt A Book. They collect books from individuals and organizations around the area and redistribute to them communities/schools/organizations in need. And it was started by two 11 year old twins, so how cool is that?! Anyway, I’m starting with a baseline donation of 5 books, but I’m also going to MATCH your donations! So, I’ll donate one book for each book donated by someone else. My goal is to have 25 books to donate to Adopt a Book. I know we can get there, and I’ve got some extra incentives up my sleeve to help me reach my goal! 1) Buy a Barefoot Book from me to donate, and I’ll give you 15% off the purchase of a book for yourself! Ordering your “to donate” book is easy- you can visit my Barefoot Books online marketplace and make your order OR you can contact me directly, and I’ll place the order for you. I’ll contact you with information about redeeming your 15% off once your order has been placed and confirmed. 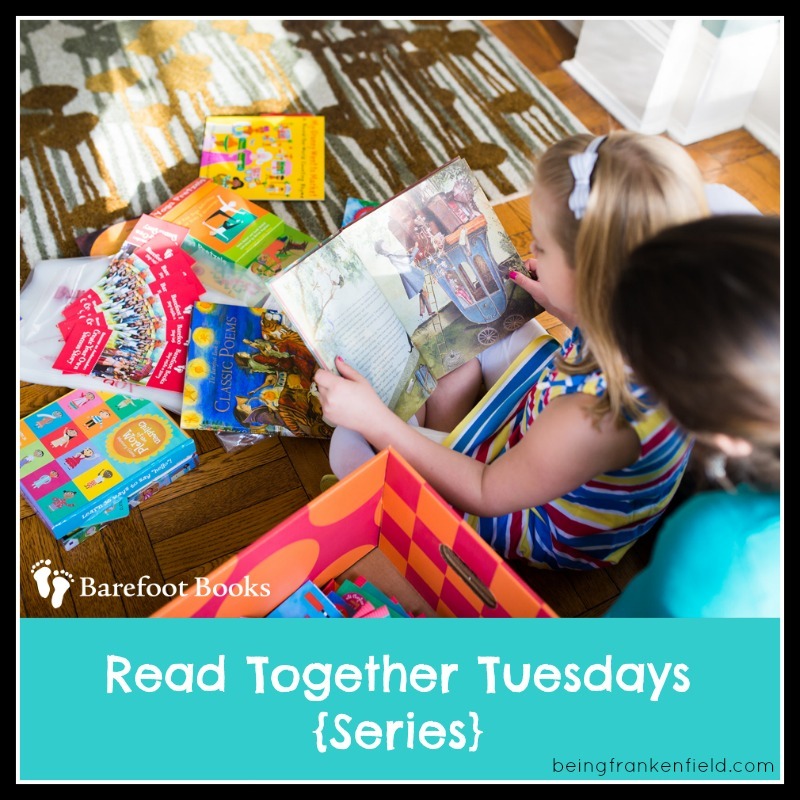 2) Share a picture of yourself donating a book (use hashtag #donatebethbfb and tag me on Instagram (@bethbfb), twitter (@ehfrank), or Facebook (Beth Barefoot Books)), and I’ll give you 10% off the purchase of a Barefoot Book for yourself! The book you donate does NOT have to be from Barefoot- it can be any new book of your choice! Once I see your picture, I’ll contact you with information about redeeming your 10% off. Some (not so) fine print: Purchases of Barefoot Books “to donate” books must be made by 2/14/15. Pictures of books being donated must be shared/tagged appropriately by 2/21/15. So, what do you say? Want to join in the fun? Let’s share the joy of reading! !